Every soldier has a job to do, even the dogs who serve in our military. When handler Staff Sgt. 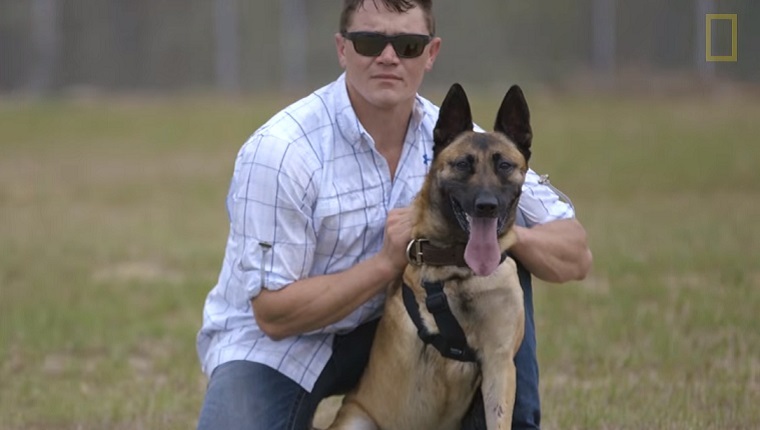 Julian McDonald sent Layka, a Belgian Malinois military dog, ahead of the platoon into a dangerous building, she did her job. Even though she was shot four times at point blank range, she still managed to subdue her shooter and saved the lives of McDonald and the rest of the soldiers. Layka was in rough shape, but after seven hours of surgery and an amputated leg, she survived. McDonald knew he had to give back to the dog who was so willing to give her life for his. He worked hard to adopt the retired pup into his family despite warnings that Layka’s military career had left her too aggressive to be a family pet. When McDonald brought Layka home, she immediately lied down in front of his one-year-old son and let him crawl on top of her to play. Now she’s become the perfect family dog. Layka loves her home where she can chase all the tennis balls she wants without having to sniff out bombs. With Veterans Day on the way, it’s important to honor our troops and the animals who serve alongside them. They all deserve a peaceful life of retirement after laying down their lives for us.